Thank you for joining us this week for all your breaking news, travel and weather. We will be back on Monday morning. But in the meantime, you can contact us via email, Twitter and Facebook if there's a story you think we should be covering. M25 Surrey anti-clockwise severe disruption, between J6 for B2235 and J5 for M26. M25 Surrey - One lane closed on M25 anticlockwise between J6, B2235 (Godstone) and J5 M26, because of a broken down vehicle. Traffic is coping well. 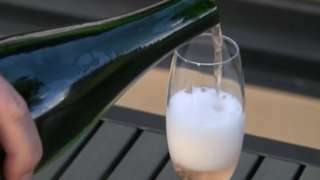 Chapel Down has outbid a French wine house to lease almost 400 acres of land on the North Downs. A rising star among the country's fish restaurants, this former seafront café has just picked up a major award for its sustainable food philosophy. Plans to demolish a house in Slinfold and build 14 homes have been approved, despite concerns from residents about drainage. At a meeting of Horsham District Council's planning committee on Tuesday members gave the thumbs-up to the development at Welwyn, in Hayes Lane, which will include three affordable homes. Janet Valentine who objected to the appliction, said the drainage system at Welwyn was "not sustainable". Mrs Valentine said: "I'm not a NIMBY. I always knew it would be developed. We are content with the design of the houses and the design of the estate. Our only problem is the drainage." Martyn Avery, speaking on behalf of the applicant, Chartwell Land & New Homes Ltd, told the meeting that civil engineers had reported there was no risk of flooding from the development, either to itself or other homes. Discussions are under way to build a £50 million marina in Ramsgate to regenerate the port, BBC South East has learnt. The port - which is owned by the local council - has made a loss of £20 million over the last eight years. Supporters of the plans say that if people and businesses can be attracted to the area, then the port could face a more certain future. A331 Surrey both ways severe disruption, between A323 and A3011. A331 Surrey - A331 in Aldershot closed and stationary traffic in both directions between the A323 junction and the A3011 junction, because of a police incident. 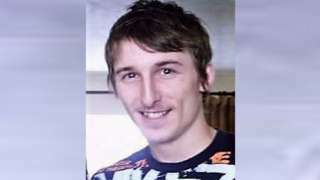 A 30-year-old man died after a collision with a van early last Sunday. M2 Kent eastbound severe accident, between J5 for A249 The Ridgeway Sittingbourne and J6 for A251 Ashford Road. M2 Kent - M2 partially blocked and queuing traffic eastbound between J5, A249 (Sittingbourne) and J6, A251 (Faversham), because of an accident involving four vehicles. Medway Maritime Hospital's new emergency department will not welcome patients until at least October - some four months after it was due to open. Last month Medway NHS Foundation Trust director Gary Lupton said the facility would be ready for public use in "early September", having also previously suggested "the end of July or early August". But asked for an update yesterday, the man in charge of estates and facilities at the Gillingham hospital admitted there has been a further hold-up. He also warned the opening date could move yet again. Mr Lupton said: "The trust's estates team continues to remain very focused around ensuring we get a real good-quality build handed over to us. "Unfortunately, again through the work the estates team has done in identifying additional challenges within that building, they have picked up on an issue with the ventilation system. "Some of the ventilation needs to be changed and re-modified as the original designs were wrong. That will hopefully be completed in early October, and we're looking at a date around October for handover. "However, history tell us that date keeps moving." Trading standards are hiring four new members of staff to check the safety of goods at ports in Kent. The head of the service at Kent County Council, Steve Rock, told councillors how they would be hired to work with Border Force. The new recruits, who would be the first based at the ports, are expected to ensure there is minimal delay in inspecting goods that come into the country. At the growth, economic development and communities cabinet committee on Wednesday, Mr Rock said: "Following Brexit we are bound to see an increase in demands to the service. "We have already seen an increase in imports at the ports, which is nothing to do with Brexit - just we are starting to see more product. "We are looking to employ additional capacity to handle the ports by actually being based at, or near the port." According to the KCC report published ahead of the meeting, trading standards are expecting to see an increase in yearly traffic through Dover and Eurotunnel to up to two million vehicles. A car crashed into another vehicle after being pursued by police. The collision happened near the junction of Love Lane and the A2 in Faversham at mid-day today, Kent Police said. One man was arrested and two other people were taken to a local hospital for treatment. A road closure was put in place from Brenley Corner for investigators to carry out inquiries. A court considering only the first 20 applications for six roles aids a "crisis in quality". A rare Hawaiian artefact which could be worth millions may be sold, a council leader has hinted. Hastings Borough Council's leader Peter Chowney (Lab) raised the prospect of selling the item - understood to be a ceremonial feather cloak from Hawaii, and part of the Hastings Museum's collection - at a meeting of the council's overview and scrutiny committee on Tuesday. He had been responding to a question from Conservative councillor John Rankin, who asked if the council should consider selling the item after a recent insurance appraisal found the item could be worth several million pounds. Mr Chowney said: "I think it is worth looking at personally, I know that is kind of heretical for some. "The council is desperately short of money and if this thing really is worth millions then it is worth looking at, although I think there is a risk." Mr Chowney compared the decision to one made by Northampton Borough Council in 2014, after it discovered a valuable ancient Egyptian statue on its shelves. The statue - known as the Northampton Sekhemka statue - was controversially put up for sale after being valued at around £2m during a insurance valuation. It eventually sold at auction for a record-breaking £15.76m but saw Northampton Museum lose its Arts Council England accreditation. "It is worth looking at I think, but we should expect to hit the national press if we do," Mr Chowney said. The number of people employed full-time by Medway Council has fallen by more than 40% in the past six years, it has been revealed. Employment matters committee papers show the authority had 5,273 full-time equivalents (FTEs) on its books in 2012/13, compared to just 3,134.5 in March of this year. Officers say the drop is primarily down to schools converting to academies, while the outsourcing of services such as grounds maintenance and catering has also contributed to the drop. Carrie McKenzie, assistant director of transformation, said: "The reduction in the number of staff over the last five years is a result of a number of factors, including the growth of academies. "More schools have become academies, so the staff at these schools are no longer council employees and are not counted in our workforce monitoring data." 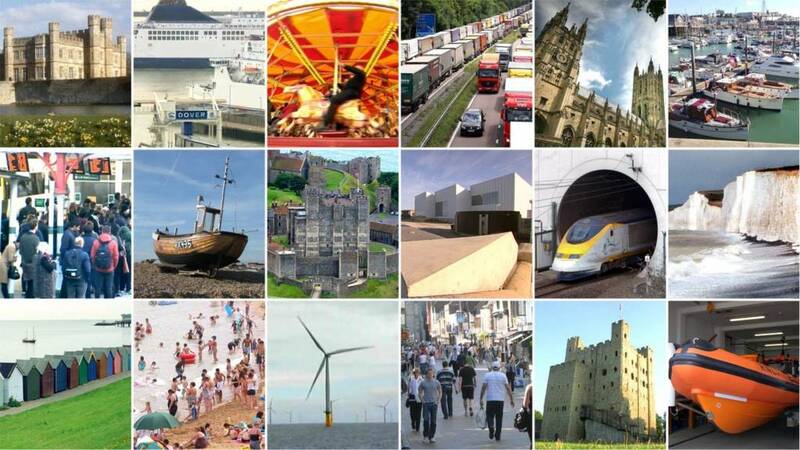 The unitary authority also says its transformation programme - which aims to deliver £5 million of savings in the next year - has also added to the 40.6% fall in FTE numbers over recent years. Mrs McKenzie added: "We've also been reviewing the way we deliver our services to work smarter and more efficiently, whilst remaining committed to providing the best possible services for residents in the most cost-effective way. "One way we have been doing this is by putting more services online such as paying, booking, reporting and applying for a service on the new Medway Council website, making it easier for residents to transact with us and access our services around the clock. "This also meets the increasing expectations of residents who wish to self-serve." M25 Kent clockwise severe disruption, from J5 for M26 to J6 for B2235. M25 Kent - One lane closed on M25 clockwise from J5 M26 to J6, B2235 (Godstone), because of a broken down vehicle. Traffic is coping well. Cafe workers at two of Medway Council's leisure centres are due to have their contracts transferred to another provider for the third time in seven years. Concerns were raised by Labour councillor Naushabah Khan at a council meeting on Wednesday 5 September following cabinet's decision to outsource the operation to an independent company. The cafes at Medway Park and Strood leisure centres were run in-house until 2013, when they were taken over by Medway Norse, a joint venture between Medway Council and Norse Commercial Services. The contract was handed back to the authority last September, with 23 members of staff being transferred onto Medway Council's books. On Tuesday, cabinet members agreed to begin a procurement process for an outside operator to run the amenities, meaning long-term staff could have had four different contracts since 2012. Councillor Khan said: "In terms of the impact on these members of staff, I've got some concerns about what that means when your terms are being transferred in and out of outsource." 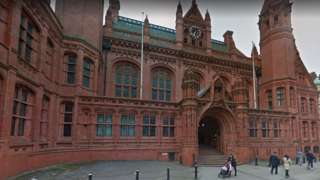 Council officers said closing the cafes had "not been taken forward as an option" as it would have an impact on customer service and lead to redundancies. M3 Surrey southbound severe disruption, between J2 for M25 J12 and J3 for A322 Bagshot. M3 Surrey - One lane closed on M3 southbound between J2 M25 J12 and J3, A322 (Bagshot), because of a broken down vehicle. Traffic is coping well. 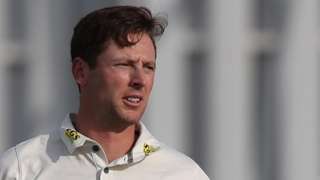 New Zealand pace bowler Matt Henry ends with 11 wickets in the match as Kent beat Northants in Division Two at Canterbury.